Ambulance services in England attempt the resuscitation of almost 30,000 people who have experienced out-of-hospital cardiac arrest each year. Ambulance services in England attempt the resuscitation of almost 30,000 people who have experienced out-of-hospital cardiac arrest (OHCA) each year. Outcomes can be much improved if automated external defibrillators (AEDs) are used immediately after cardiac arrest and before emergency services arrive on the scene. In people with shockable heart rhythm, there is about a 10% reduction in survival for every minute’s delay in defibrillation. 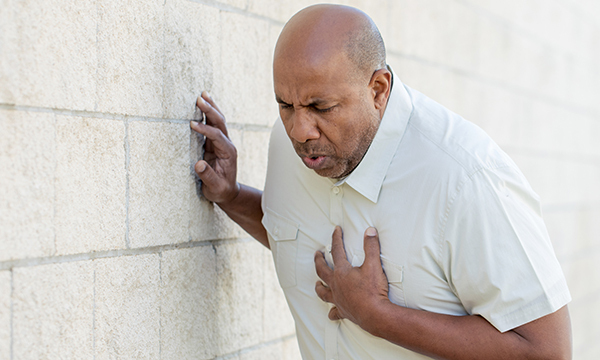 The chances that people with shockable heart rhythm can survive OHCA increase significantly, therefore, when bystanders witness them collapsing or discover them soon after they have collapsed, call 999 immediately, and deliver cardiopulmonary resuscitation (CPR) without delay. This means the public need to be able to access and use AEDs before emergency services arrive to provide further resuscitation interventions. AEDs have been declared safe to use by Resuscitation Council UK guidance, which aims to integrate current recommendations and describe the optimal clinical pathway for patients with OHCA. National strategy promotes the availability of AEDs in workplaces, schools, stations, leisure facilities and outside shops, and there are community-based training programmes in using them. Cardiac arrest survival rates are higher in many countries outside the UK, however, so a targeted improvement infrastructure should be put in place here as soon as possible. There is a need to increase public awareness of the signs and symptoms of cardiac arrest, and to encourage public willingness to attempt CPR. What are the experiences of parents who have witnessed the resuscitation of their child?